Forget the awful optics that hit us all in the eye in Lucknow on manic Monday. And do ignore the irrelevant ranting and raving over an enigmatic Amar Singh, who continues to revel in his stranglehold over the otherwise brilliant old warhorse of Indian politics — Mulayam Singh Yadav. For, the boats carrying the Yadav family and the Samajwadi Party are in the doldrums. Make no mistakes: The ruling party in Uttar Pradesh stands defaced and defiled. Almost completely. Manic Monday was followed by troublesome Tuesday. 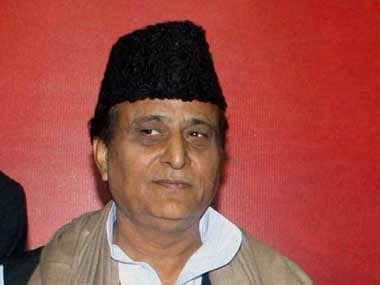 Mulayam called a press conference at his party office to hammer home the point that his family and party were united. But son Akhilesh wasn’t there although brother Shivpal sat by Netaji’s side. Truce after truce. But peace eludes. And confusion abounds. In reply to a question on Amar Singh, he shot back: “Why do you drag him into everything”. And on Ram Gopal’s barbs, he said: “I don’t give importance to small things”. Mulayam didn’t answer pointed questions. And he chose to remain vague. “I shall not give a single controversial answer, no matter how many probing questions you ask”, he said. Already, the nation in general and media in particular have devoted enough time and space discussing the war within the Yadav family. Enough is enough. Don’t you think it’s time to move on and view UP’s overall political picture dispassionately? Things have changed rather drastically in the past 40 days. 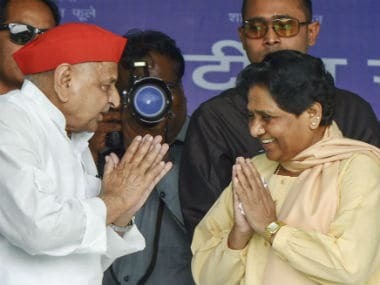 The state now looks all set to present a near-straight-contest between the Bahujan Samaj Party (BSP) and the Bharatiya Janata Party (BJP) in the ensuing assembly elections this time. The SP and the Congress would, in all probability, be relegated to third and fourth spots. There are three solid reasons why this would happen: First, Mayawati is in the process of giving party tickets to at least a hundred Muslim candidates. 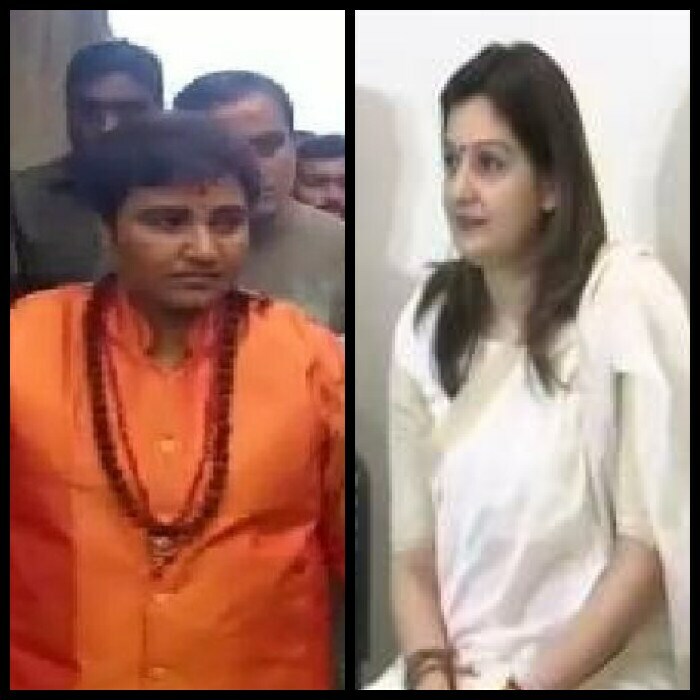 She knows that this minority community is bound to gravitate towards her in a big way in the absence of a strong Samajwadi Party. She also knows that her Dalit vote-bank is intact, thanks largely to the activities of 'gau rakshaks' of the Sangh parivar. Yes, the Dalit-Muslim axis has almost crystalised. Already. Second, apart from consolidating the upper caste vote-bank, the BJP is now focussing on weaning away over to its side a sizeable sections of OBC voters. Indeed, they seem to have learnt a lot in the aftermath of their Bihar debacle. They know that they can’t even think of winning the coming elections if the OBC vote-bank goes against them, like it did in Bihar. What they also know is that for a ‘Hindu backlash’ to materialise, you need to take along OBCs in a big way. And now that the SP is seen to be disintegrating, Amit Shah’s party is looking at the possibility of snatching non-Yadav OBCs from the clutches of Mulayam and Company. Third, the Congress, which had left no stones unturned to ensure that Brahmins rejoin their bandwagon, is still groping in the dark. Despite massive campaigns by Rahul Gandhi in the countryside, the Congress strategy for revival has so far flopped. Even Rahul’s Amethi and Sonia Gandhi’s Rae Bareli look threatened. 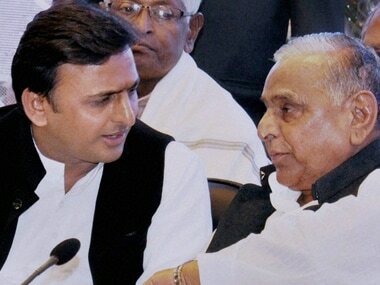 Now they are looking at the possibility of joining hands with the strife-torn Samajwadi Party. Let’s wait for another fortnight or so for things to take shape on the alliance front. For the moment, things are too uncertain. What is, however, certain is that the SP’s vote bank has crumbled beyond repair. And that’s why both the BSP and the BJP are now in a position to battle it out for power in Lucknow. To the delight of the saffron camp, BJP’s poster-boy, Prime Minister Narendra Modi, is beginning to get into the aggressive mould. Breaking his silence on the issue of triple talaq, Modi thundered at a public rally at Mahoba in Bundelkhand on Monday: "If a Hindu kills a daughter in her mother’s womb, that person has to go behind bars. Similarly, how is my Muslim sister at fault if someone just utters talaq thrice over the telephone and destroys her life." Quoting the Prime Minister, The Indian Express wrote further: "Shouldn’t the rights of Muslim daughters be protected? Shouldn’t Muslim mothers and sisters be protected? Shouldn’t Muslim sisters get equal rights? Some Muslim sisters fought for their rights in court. The Supreme Court asked us what is the stand of Government of India. We replied in very clear terms that no injustice should be done to mothers and sisters, that no discrimination should take place in the name of religion." You can now get a glimpse of things to come in poll-bound Uttar Pradesh. Will it not be a fight between the BSP, which derives its strength from Muslim-Dalit axis, and the BJP, which would continue to raise hue and cry over the issues of Common Civil Code, nationalism and surgical strikes? 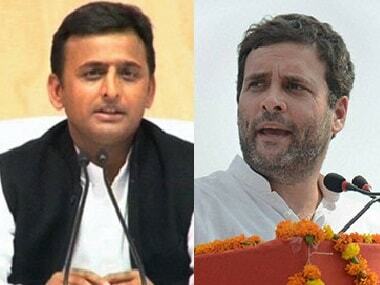 The Samajwadi Party and the Congress are virtually out of the picture-frame. Like it or not.